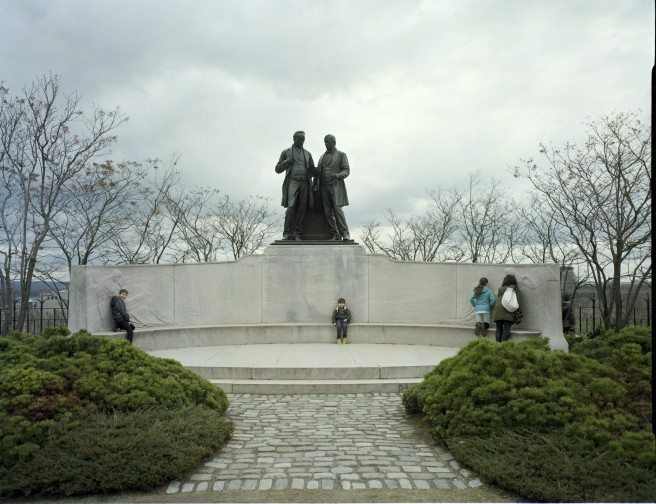 The Robert Baldwin and Sir Louis-Hippolyte LaFontaine memorial, designed by Walter Seymour Allward and built in 1914, is a tribute to two statesmen who worked together to give legislative power to elected assemblies and prove that French and English Canadians could collaborate on political issues. Often praised for its original curved design, another quality tends to get overlooked: it carries sound. 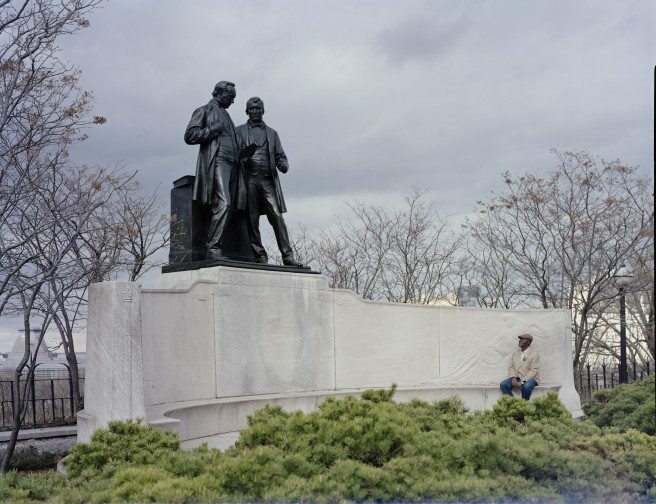 When two people sit at opposite ends of the monument and whisper, they can hear each other — perfectly, as if they were sitting side by side. 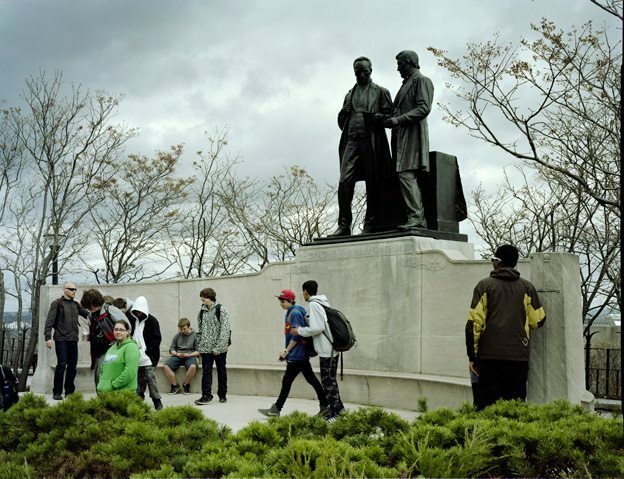 Students from Sir Guy-Carleton High-school at the Whispering Wall monument commemorating Robert Baldwin and Louis-Hyppolyte Lafontaine, the collaborative Premiers of Upper and Lower Canada. The students, from grades nine through twelve, were on a leadership training scavenger-hunt to Parliament Hill, May 4th, 2014. Photo by Jackson Couse. The effect is fun for passersby, but it’s not an intentional design element. Other famous examples include the dome in St. Paul’s Cathedral in London and a dam in Williamstown, Australia – both of which attract tourists with their sound-channeling properties. Take a friend and experience it for yourself – tell each other a secret or something nonsensical. But bear in mind: you’ll be doing it under the watchful gaze of two politicians who continue to remind us that communication is the glue that bonds English and French Canadians, whispers and all. The Novak family of Vancouver – Milan, Marek, and Gabi Novak and their mother, Paula Da Rosa – talk to each other across the Whispering Wall on Parliament Hill, May 4th, 2014. Photo By Jackson Couse.